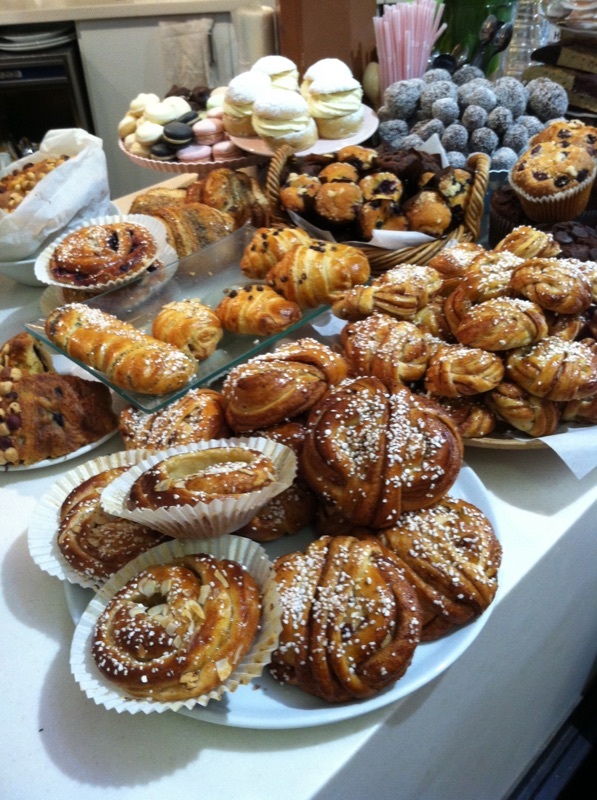 The perfect buttery sugary pastries pictured below are safely 5000 miles away in Stockholm – Unfortunately I could not sample because “I know too much”. What is the difference between natural and added sugars and why the average American consumes nearly 1/2 a pound daily!! I was reading Renee’s latest post on her best kale salad and what struck me was her scavenger hunt for a dried cranberry without added sugars. Yes! The hunt was worthwhile because latest indicators show Americans eat on average 160-170 pounds of refined sugars per year. This is up from about 4 pounds, less than 100 years ago, which means our brains and our bodies are not adapted to cope with such bounty! What exactly is an added sugar? An added sugar or syrup is added to food and beverages when they are processed. This means sugars naturally found in fruits and milk are not added. So Renee’s fruit juice sweetened cranberries did not have any added sugars. Yay! I have found these and other unsweetened dried fruits at my local health food store, Nature’s Food Patch. Whole Foods of course is our go-to and there is always the DIY option as well. What are some names for added sugars*? What to use instead of adding sugar? I do recommend honey and maple syrup for sweetening and diet supplementation. Both natural sweet ingredients are packed full of probiotics, prebiotics, natural electrolytes, and lovely flavor. Maple syrup provides calcium, iron, magnesium, phosphorous, sodium, potassium, and zinc. I use maple syrup with water, lemon juice, and ginger to hydrate on hot Florida summer days. Sometimes I add cayenne pepper for its thermogenic properties. I heat up and burn a few extra calories :). Honey is a natural wonder I could write pages about. Right now I love raw Florida honey for the immune benefits. Eating local honey helps me with my seasonal allergies. So many apiaries are popping up! I actually have a co-worker who keeps bees and sells the honey, though her honey is pricey. Help the bees and buy bee-friendly products. Manuka honey oh wow… I don’t have enough place for its virtues. 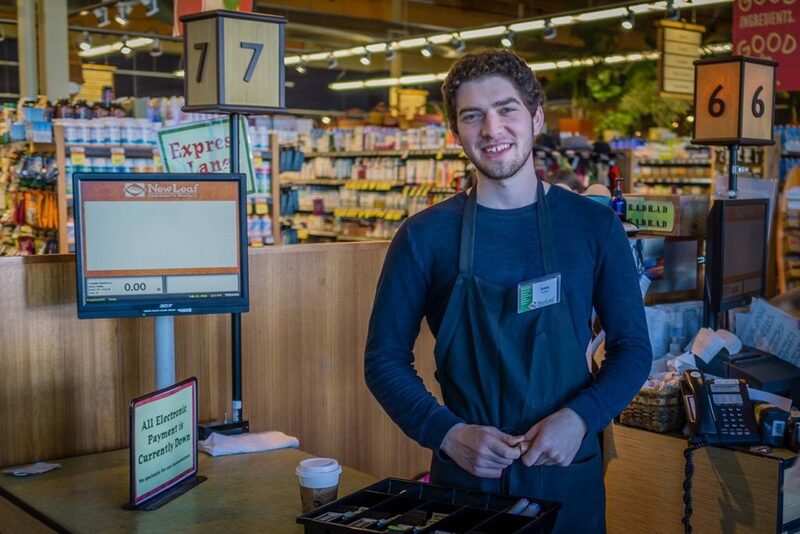 My son, Isaac, attends UCSC and works at New Leaf Market! I think he may have learned a thing or two from me? Finally after 20 years we are getting a new Nutrition Facts Label. The old label only showed Total Carbohydrates and then a breakdown of Dietary Fiber and Sugars. The new label will include an Added Sugars line with grams and a percent of Daily Value. According to the 2015-2020 Dietary Guidelines for Americans, calories from added sugars should remain at or below 10% of your daily calories. The new focus on added sugars is a result of expert groups finding that the average American diet includes 13% of total calories from added sugars, mostly coming from sugar-sweetened beverages. So re-think your drink!! Providing this information on the food label will allow the consumer to make the most informed decisions and choices. I know I will be very happy, because until now I have had to rely on the order of ingredients and the old rule of thumb … if sugar is listed among the first three ingredients, put it back! For more information on the new food label, visit the FDA. Not only do added sugars contribute to our daily calorie intake, added sugars are adding calories without nutritional value. They rob our bodies of valuable vitamins and minerals needed for metabolism. Added sugars lead to bad breath, bacterial blooms, and tooth decay. Added sugars can raise blood triglyceride levels leading to heart disease. In my practice, I have often seen a high intake of added sugars stunting children’s growth by causing malnutrition. Too many added sugars in the diet replace other important nutrients needed for growth and repair. The high intake of added sugars can change our palates or food preferences by masking the unique and varied flavor profiles of healthy foods. This is a slippery nutritional slope. 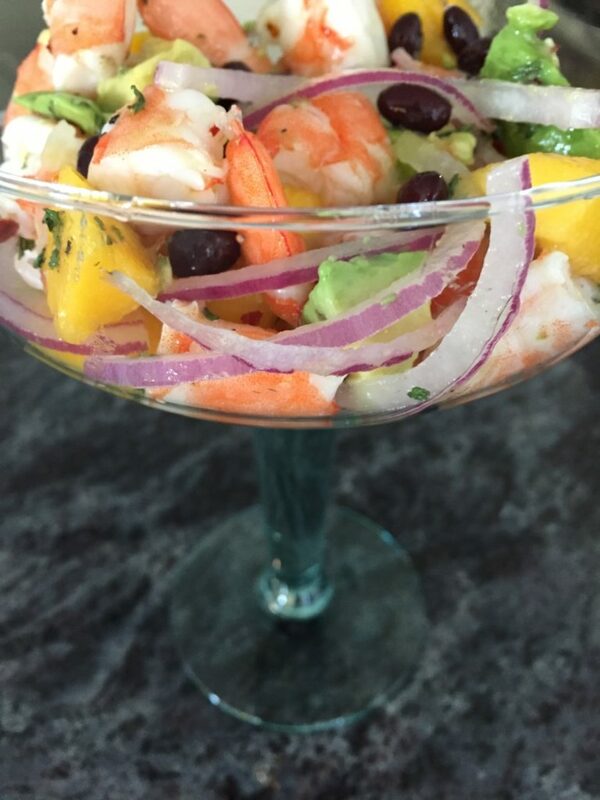 Homemade shrimp ceviche with zero added sugar! Added sugars are environmentally undesirable. Sugarcane provides 60-70% of the worlds’ sucrose, and it’s a very thirsty plant. The over planting of sugarcane has led to decreased biodiversity and lost habitats. Sugarcane grows all year long stripping the soil of nutrients and creating soil runoff and waste water polluted with fertilizer, pesticides, and herbicides. The processing of sugarcane results in harmful emissions, sludge, and solid waste decomposing in fresh water bodies and leading to massive fish kills. Consume fewer added sugars for a healthier body in a healthier planet. You can read more about the effect of sugar on our environment here. Bringing experience, world view, and an extensive network to the “plate”, Marian Davidove is a modern Registered Dietitian who embodies a new philosophy toward food. 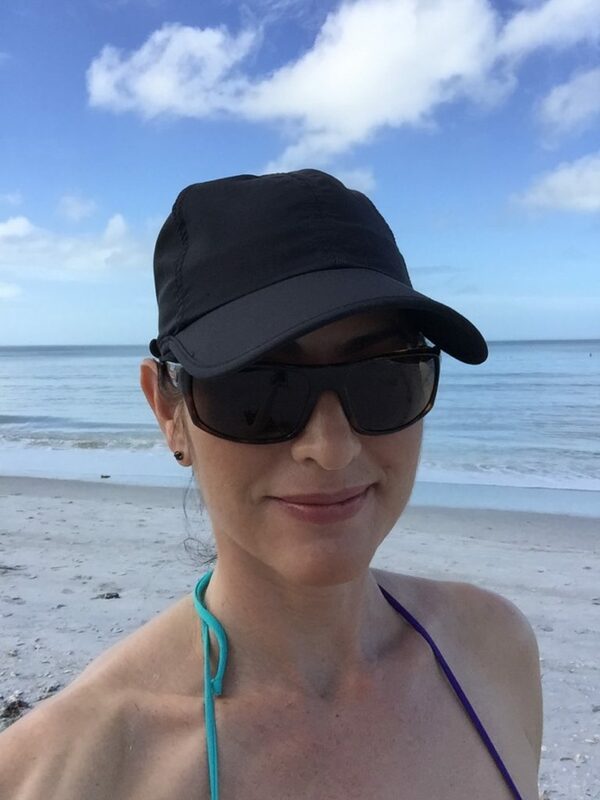 She guides her clients through the nutritional gauntlet helping them achieve their personal goals. Marian earned her Bachelor of Science degree at the University of Connecticut and completed her dietetic internship at the University of St. Joseph in Hartford. She is currently working full time in public health clinical services specializing in maternal, child, and infant nutrition while pursuing a Masters of Arts in Global Sustainability with a concentration in food sustainability and food security. This entry was posted in Random, Uncategorized and tagged diet, dietitian, nutrition, nutritionist, paleo, wellness, whole 30 by Marian Davidove. Bookmark the permalink.